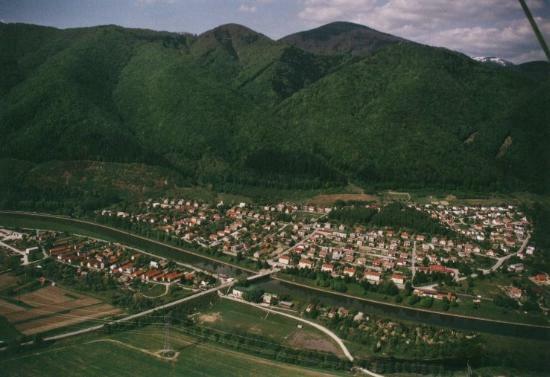 The village Lipovec is situated on the foot of the southern slopes of the Malá Fatra (The Smaller Fatra) at the right side of the Váh river. The first written mention of this village originates from the year 1374. Nowadays village counts 756 inhabitants. The most of the terrier form greenwood and mixed wood. The village Lipovec is bisected by an admission channel to the Hydroelectric power station. There are favourable conditions for tourism in the village. There are some tourist lanes leading from the village to Suchý hill, Kľačianska Magura, but favourable conditions for tourism and wandering for less able visitor, too. For example, the Hoskorná valley, climb on Panošiná hill and so on. Gravel lakes offer right conditions for bathing and water sports and for fishing in summer-time. The natural Široká lake is suitable for ice-skating in the winter. Surrounding forests are abundant in deer. It was founded a hunting association Kýčera in the village. Surrounding hills are a paradise for mushroom collectors. In the village there is created a trade and restaurant network of good level including accomodation in boarding-house.